Three men have been arrested after an alleged armed robbery in Winchburgh, police have said. A three-figure sum of cash was reported stolen from the Jet garage at the Glendevon Service Station on July 6. A group of men allegedly entered the premises and threatened staff with weapons. 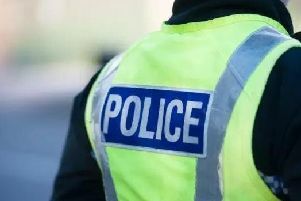 Police in West Lothian have been continuing with their inquiries and yesterday three addresses in Drumacre Road, Bridgeness Lane and Miller Crescent, Bo’ness were searched. Three men aged 18, 24 and 27 were detained and subsequently charged. They are all due to appear at Livingston Sheriff Court today.